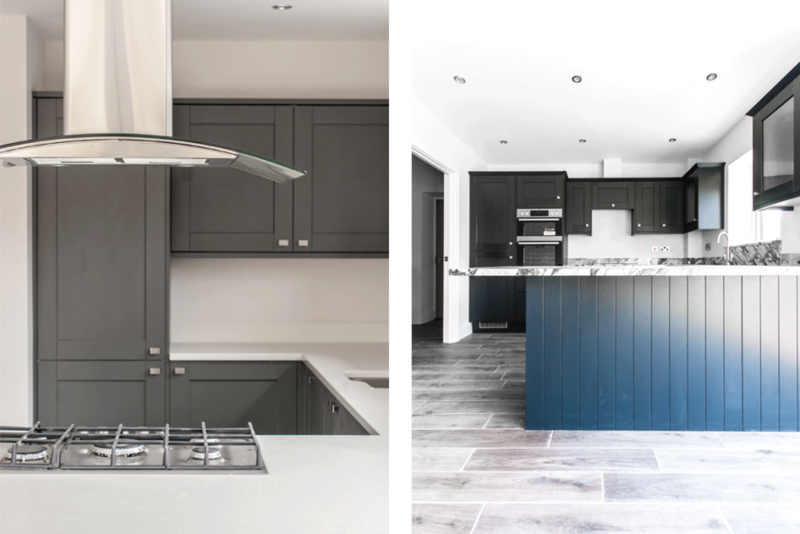 Upon completion of their latest project, we interviewed Dean Gaffikin and Steve Courtney, of Harbourwood Homes, to find out exactly what went into—and what the reaction has been—crafting their latest development, “The Salts”. So, how long did the build take? Steve: …and it would have been quicker too, but we had an uncontrollable 6-8 week delay in the middle of the project due to an overhead cable we had to get removed, but other than that pretty quick yes. Can you talk us through some of the signature design features? 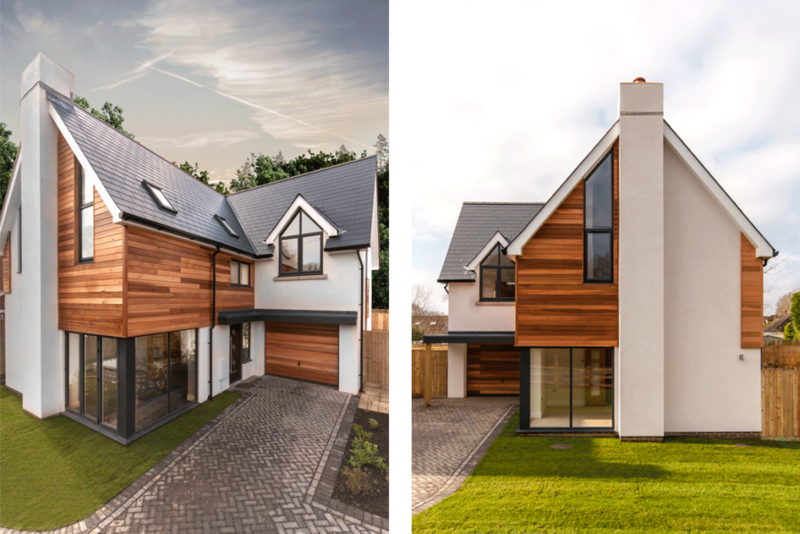 Dean: The four most distinctive features—the likes of which we hope to become known for—are the angled windows, cedar cladding, vaulted ceilings and specific style of rendering. How have you ensured the quality and consistency of this project? 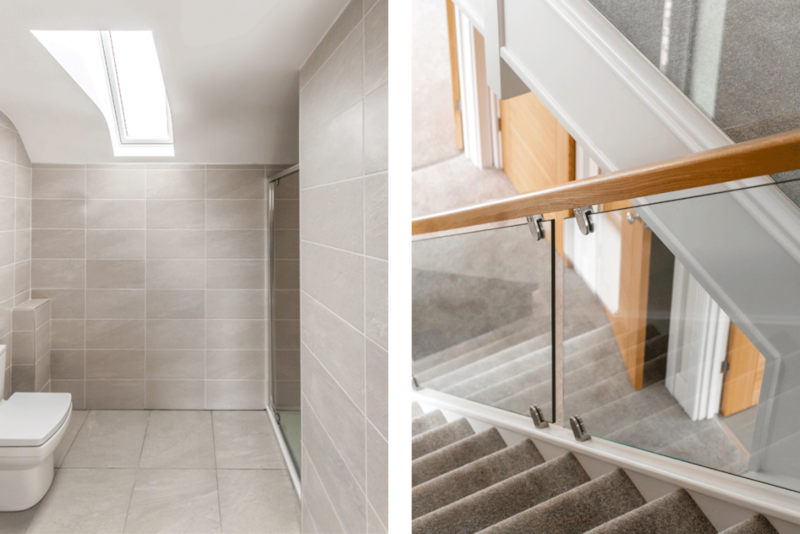 Steve: We spent a lot of time deciding on the best products/materials to use on our properties, and employ a strict quality control procedure of all contractors before, during and after our developments. Which, if any, kind of obstacles did you overcome during this project? Dean: The biggest one by far was a power cable that ran overhead across the site. We had major delays with this, but we rallied the team to keep everyone’s spirits up and ensure that the project was completed as quickly and efficiently as possible. Other than that, I’m pleased to announce everything else went to plan. Steve: It’s hardly controllable but the weather in UK plays a big part in programming the builds for us. Although this didn’t cause any delays or problems on this site, it could have easily been a big problem for us, which we tried to stop by ensuring that we got the properties secure groundwork and brick work up and ready for roof before we hit any potentially damaging wet and cold weather. After all, strong foundations make for strong structures. Dean: Yes, very happy. The speed of the build while maintaining quality has pleased them and they are also on course to make the financial return they expected. Steve: I would also add that above all we have kept our word to them, and kept them in the loop every step of the way. It’s really important to us to be as honest and approachable to them, and all involved, as possible throughout our projects. Have the original landowners seen the end result? Steve: The landowners haven’t yet been to see the finish product, but we have kept them informed as to how it’s all going. We will be inviting them to come and view the properties soon when we have fully completed, so they can see what their land has enabled us to create. We have also tried to keep a quite personal relationship and tie to the development from the previous owners, in naming the development “The Salts”, after the previous landowners family name. We did of course ask their permission before, and they were overjoyed with us requesting this, so it’s good to keep this link to them. Dean: Very well. We haven’t had any complaints and they are happy that they have some nice new houses to look at rather than a redundant piece of land. 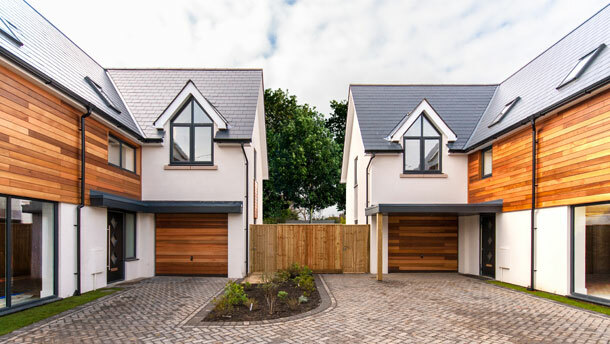 They can also see a price rise to their own properties, with these two new builds bringing the area value up. Steve: The neighbors have been particularly great here. At the start—as we do with all of our developments—we introduced ourselves, and the company to them and took the time to listen to, and answer all of their questions. We also swapped contacts for any emergency or future communication they may wish to have with us, while keeping close contact (if they wish) throughout the build. What has the overall reaction been like? Dean: Very good all around. Everyone who has visited the site has been impressed with the high specification, the build quality and the speed of the project. We have also started to see a big interest with potential buyers, now that the site is finished. What are you most proud of with this project? Dean: Working as a team with all employees, sub-contractors, suppliers, consultants, and designers to get a finished product ready for someone to make a home. It’s always exciting to see the finished product, and when it exceeds your expectation as this development does, that’s truly the icing on the cake. Managing Directors Steve Courtney and Dean Gaffkin, pride themselves on their jargon-free approach to property development. With years of advantageous experience in their own respective trade businesses, the duo takes a careful and considered approach to each and every project—forever putting the needs of landowners (and the surrounding neighborhood) first. Don’t miss out of the The Salts open event, being held on Saturday 24th March and Saturday 31st March.